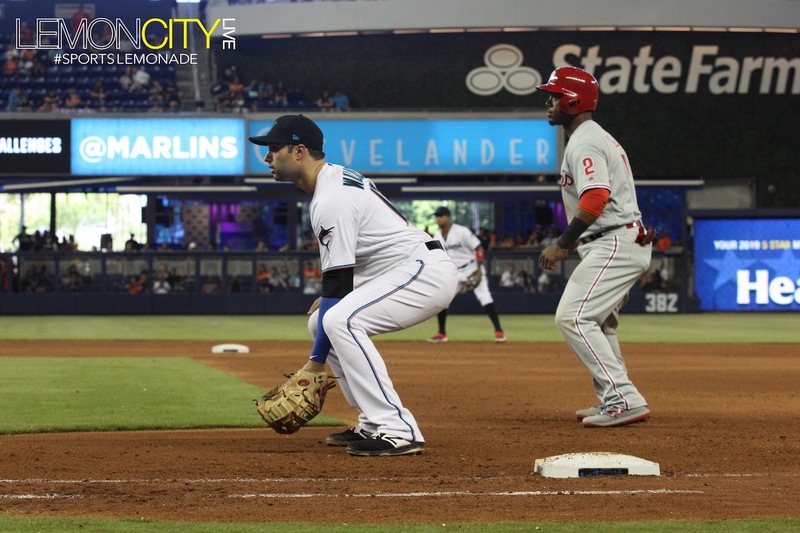 Miami, FL- The Miami Marlins dropped a four-hour heartbreaker of a marathon, falling to the Philadelphia Phillies 3-1 in 14 innings. 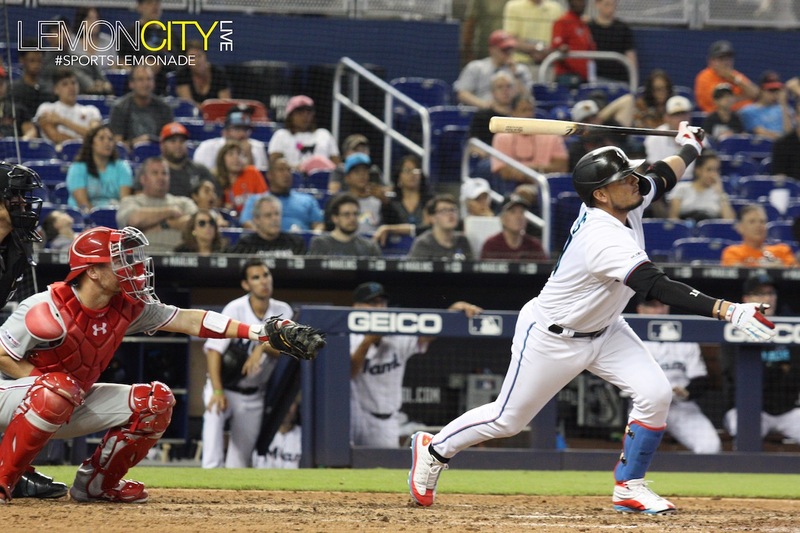 Fans were treated to a pitcher’s duel as Jose Ureña tossing his best game of the year, going seven innings and throwing 102 pitches in his first quality start of the season. With a third of the game in the books, it was a relatively quiet affair until the top of the fourth. 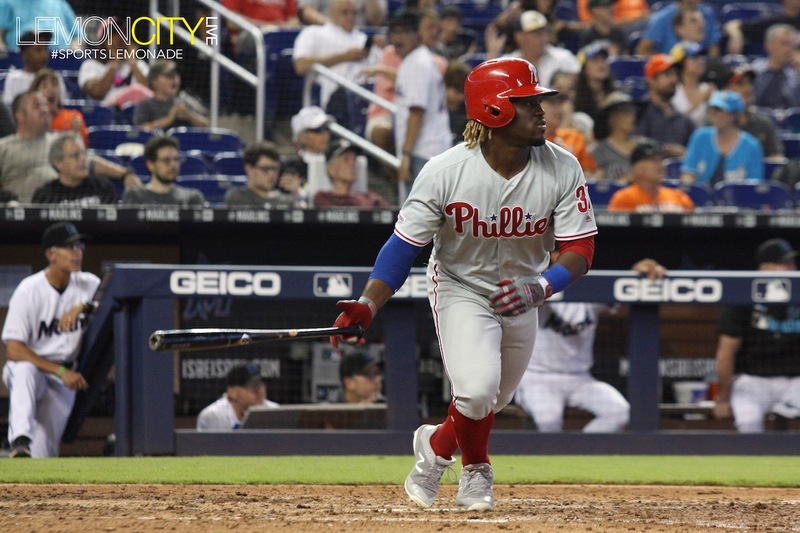 Ureña had been successfully containing the potent Phillies offense until Cesar Hernandez went deep to right for his first homer of the season putting Philly up one. Although run support was lacking, the team’s ace had plenty of help on defense. 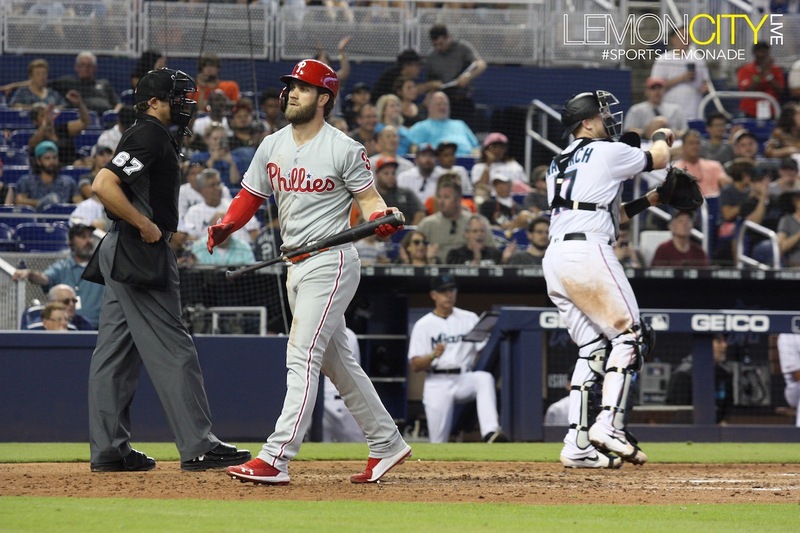 In the sixth inning, Philadelphia first baseman Rhys Hoskins hit a sharp liner to left with Bryce Harper rounding third, racing for home. J.T. 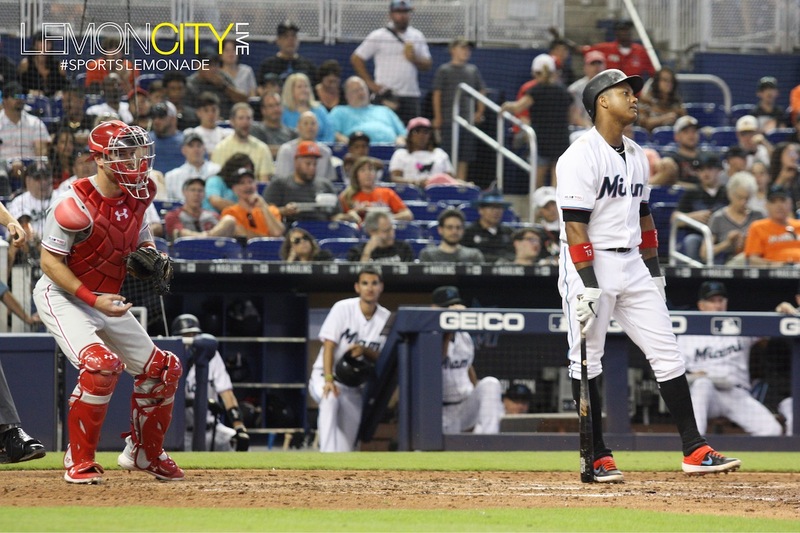 Riddle gunned down Bryce Harper in the relay throw from Curtis Granderson to keep Miami to within one. 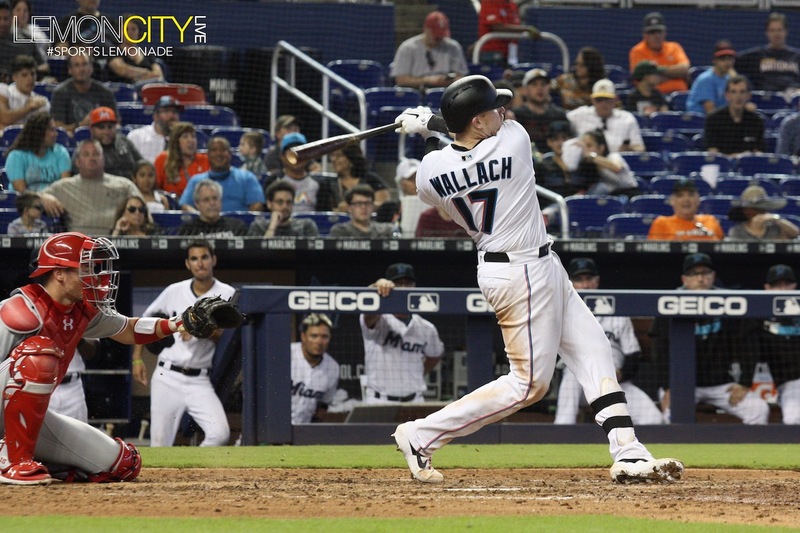 Gotta give credit to Chad Wallach who made it look easy. 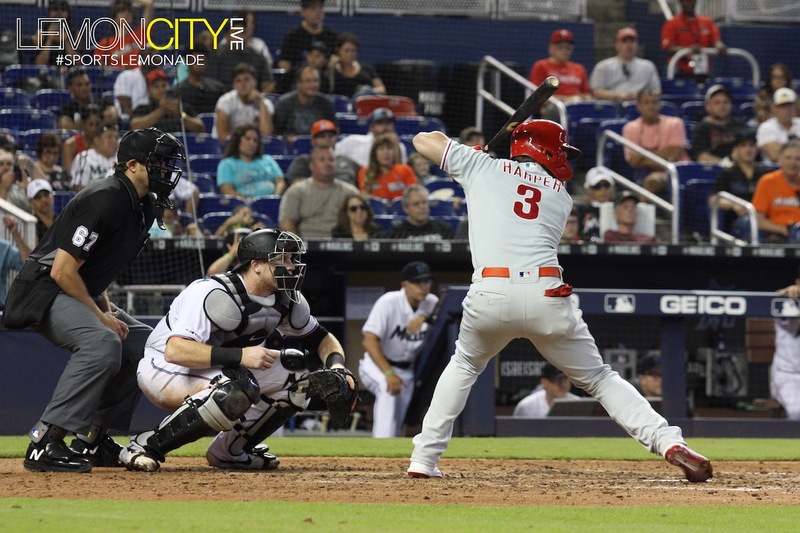 For much of the game, the Fighting Fish struggled mightily to produce a hit, a stark contrast to the 18-hit parade of the night before. 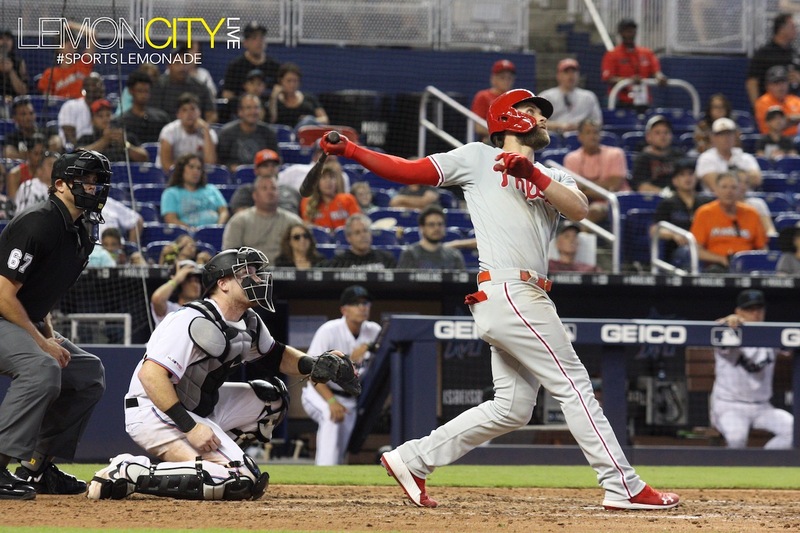 But in the home half of the sixth Miami finally got their first hit of the game, and boy did they! 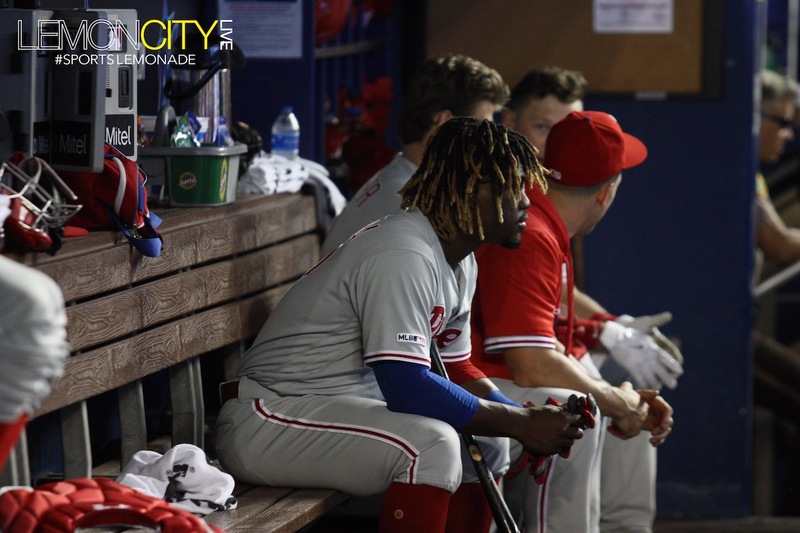 Brian Anderson got a hold of the four-seam fastball and airmailed it to left center field to not only tie the game but end Vince Velasquez’s no-hit bid. Anderson has had back-to-back days this weekend where he does the over-the-wall touch ’em all. 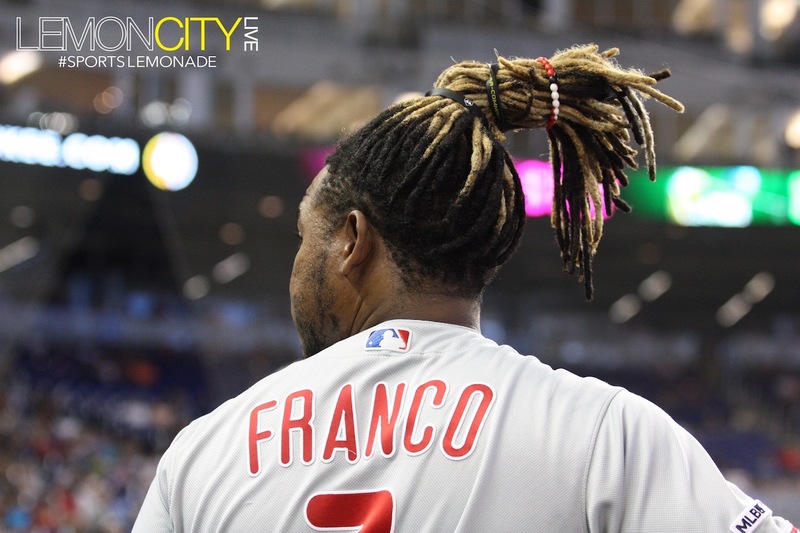 Ureña bullied seven-hitters back into the dugout, matching his career-high, sprinkling seven hits over seven innings of work. Despite the no-decision, this was a much-needed performance for a hurler who has been looking to find his groove. “I was aggressive, I tried to attack the hitters. For me, that was the biggest gift to them. 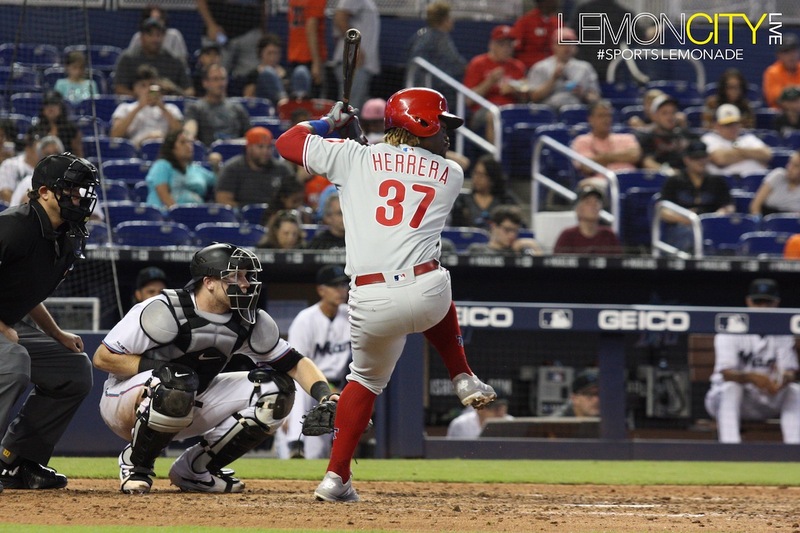 The whole entire game we fought, even to the end,” Ureña said. The bullpen took over from there. 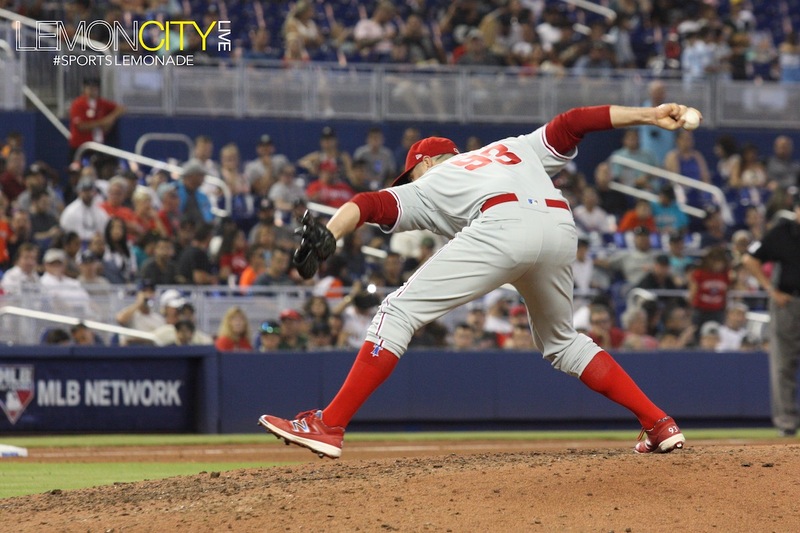 Drew Steckenrider returned to form, keeping the Phillies off the base pads with an impressive eighth, retiring the top of the order for Philadelphia. 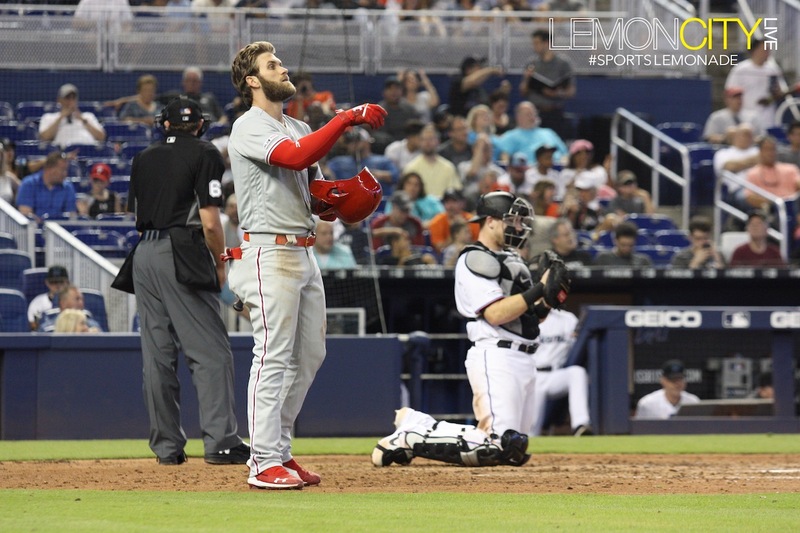 He even got Bryce Harper to strike out swinging. No joke. Sientate! Harper goes down swinging to end the threat. 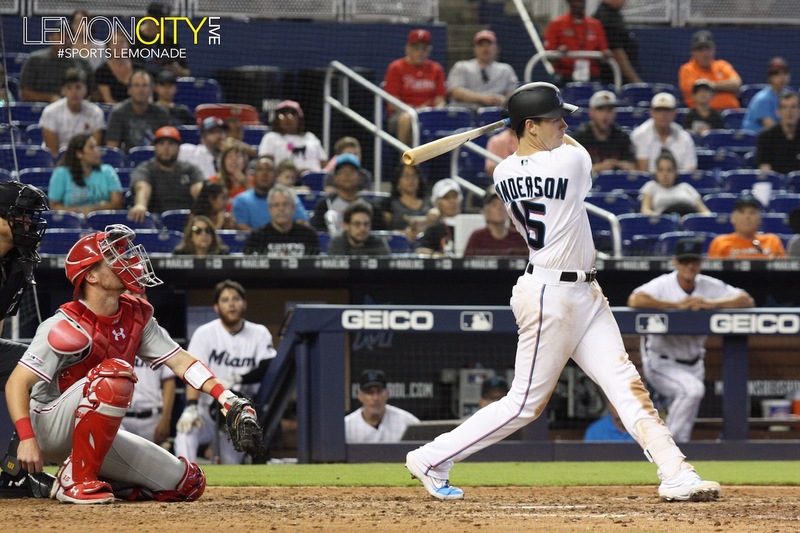 The Marlins had a golden opportunity in the same inning after Martin Prado advanced to second on a passed ball by the catcher Andrew Knapp with just one gone and Anderson at the plate. 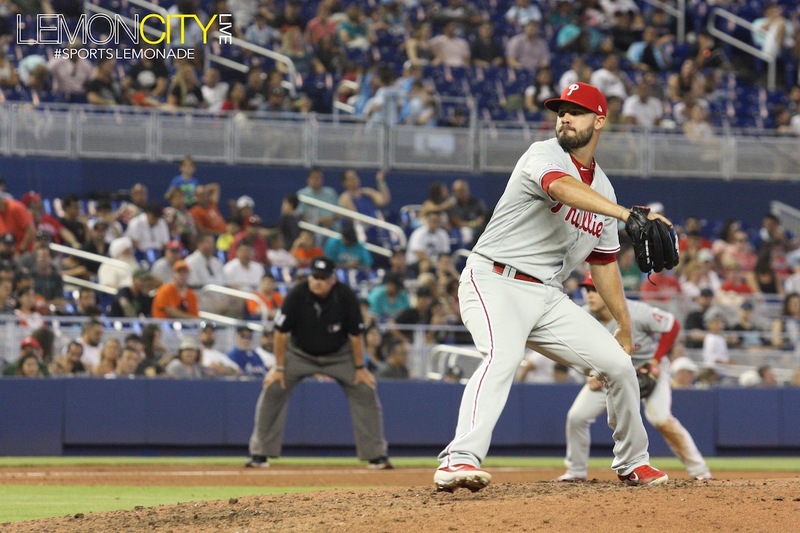 The effort evaporated after both Anderson and Neil Walker struck out to end the inning. 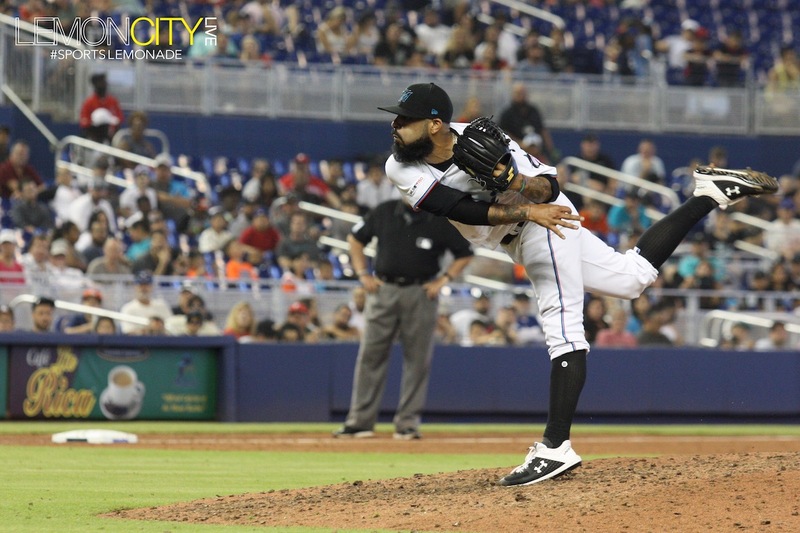 Sergio Romo came in relief for the ninth and found himself going toe-to-toe with Pinch-Hitter and ex-Marlin JT Realmuto after walking Knapp to load the bases. Just prior, Scott Kingery singled on a soft roller to third. Anderson couldn’t quite barehand it, allowing the inning to continue. 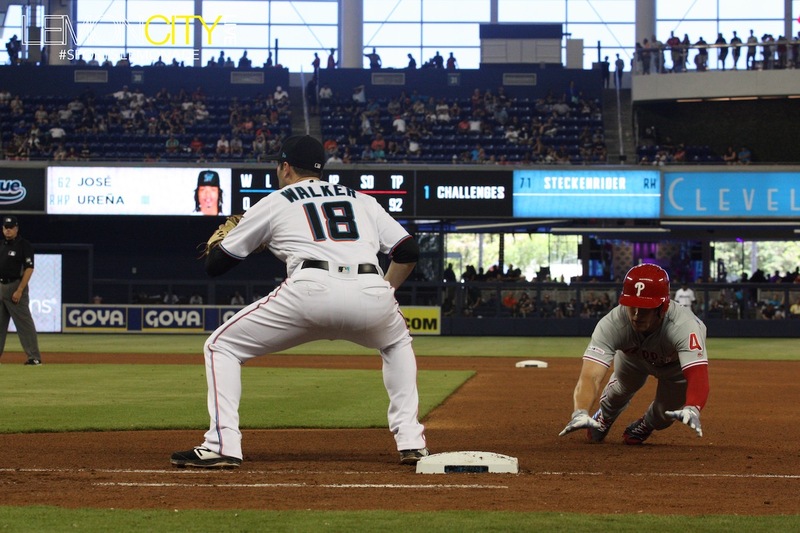 Realmuto grounded out to the Riddler to end the threat. 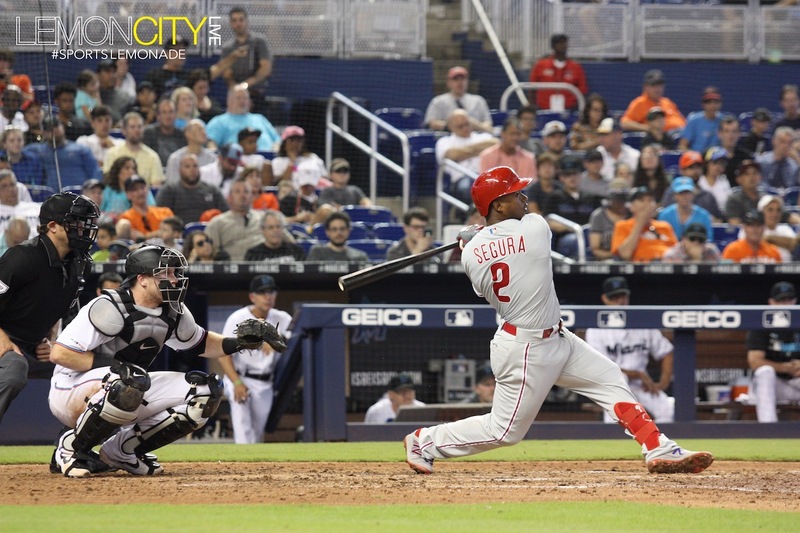 The Phillies, however, finally broke through in the fourteenth. 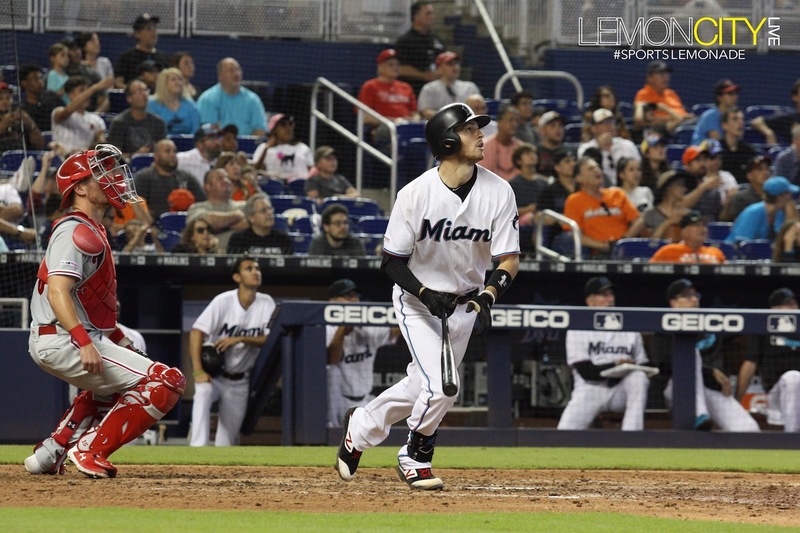 Wei-Yin Chen, the Marlins eighth pitcher of the game, served up a 2-run blast for Jean Segura. This after giving up a triple to Andrew McCutchen though admittedly, Lewis Brinson just couldn’t make the catch at the wall in AutoNation Alley. 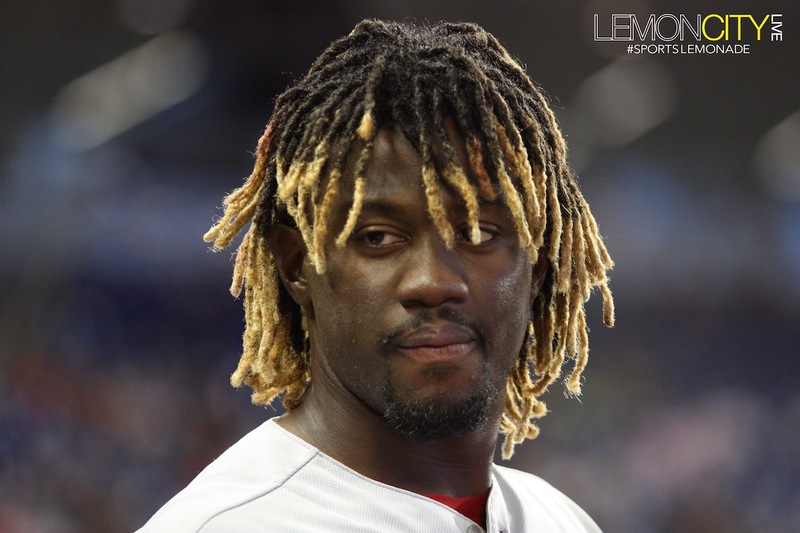 Even though he allowed the game-winning home run, Chen felt encouraged by his progress. “In the past, there’s been too much in my head. I’ve been paying too much attention about what adjustments I should make or about my mechanics,” he said. 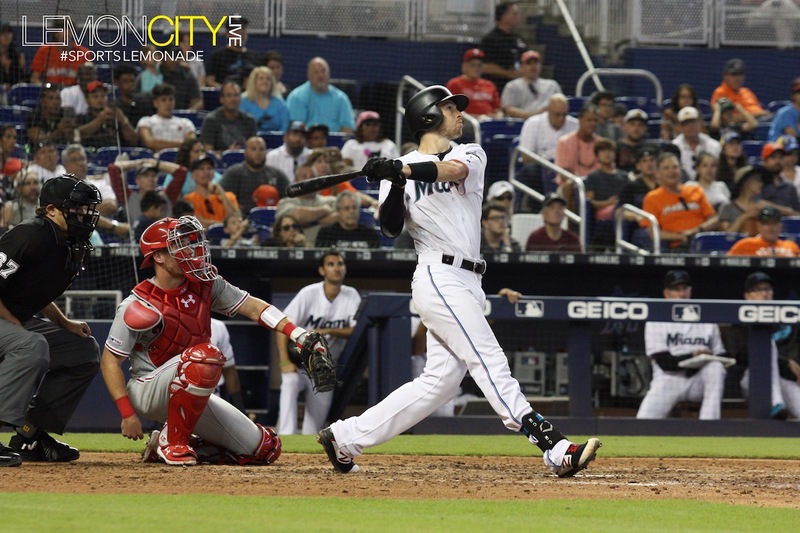 Overall, it was a positive weekend for the team with the call up of Austin Dean along with Ureña’s performance from the mound. We can’t forget about Anderson either, the third baseman has been flashing that muscle. Sunday was Bark at the Park as fans from all over brought in their personal furry mascots to enjoy some baseball at the stadium. Man’s best friend sat beside and on top of their owners, all while the canines carried out their own meet and greet, sniffing each other out. Networking, its the future. Total attendance was 174 dogs and 15,238 humans. 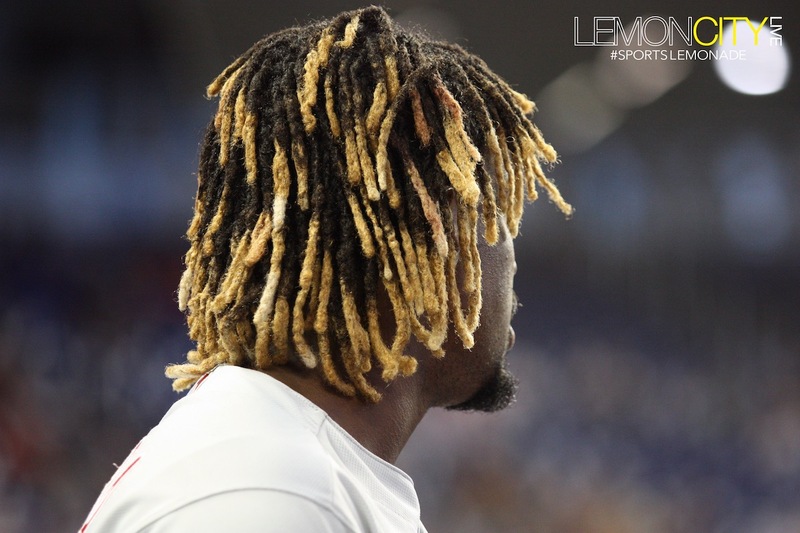 Jose Ureña, hands down. The team’s ace pitched like one Sunday afternoon.